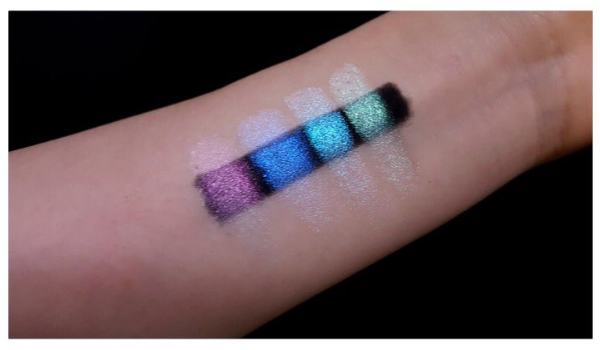 Kat Von D Alchemist is a multi-use palette with 4 holographic shades. To me, it seems mainly an eyeshadow palette but they say it can be used on eyes, lips, and face for special effects. All 4 colors are basically white with different holographic undertones such as purple, pink, blue, and green. What reminded me of my long-forgotten eyeshadow palette was the second swatch picture of the shades applied over a dark black base. I also remembered that I never used my palette like that, which is probably why I didn't enjoy it as much. It took me a while to figure out that my eye shape needs some defining with darker colors, but back then I just couldn't understand why I looked so sleepy whenever I wore this beautiful palette. 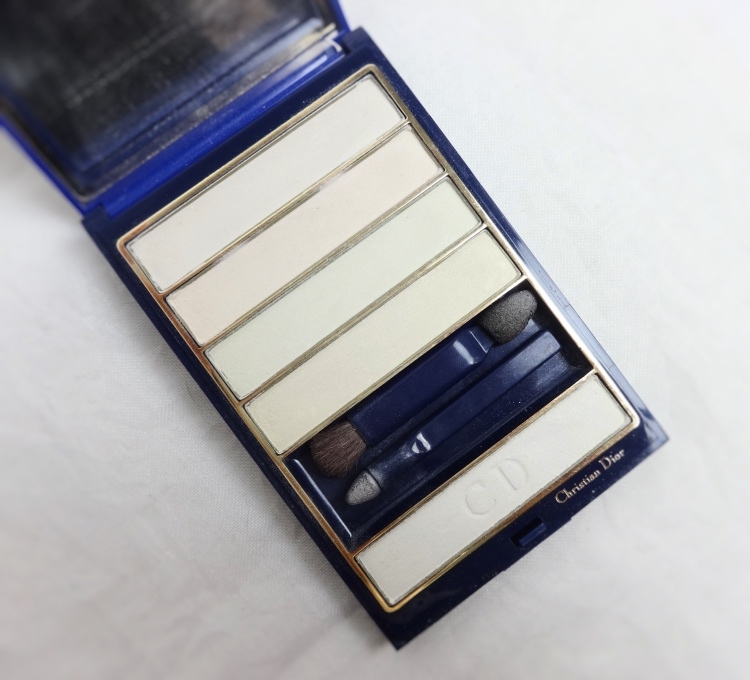 Now, let me show my vintage Dior eyeshadow/liner palette, Effet De Perle (103). 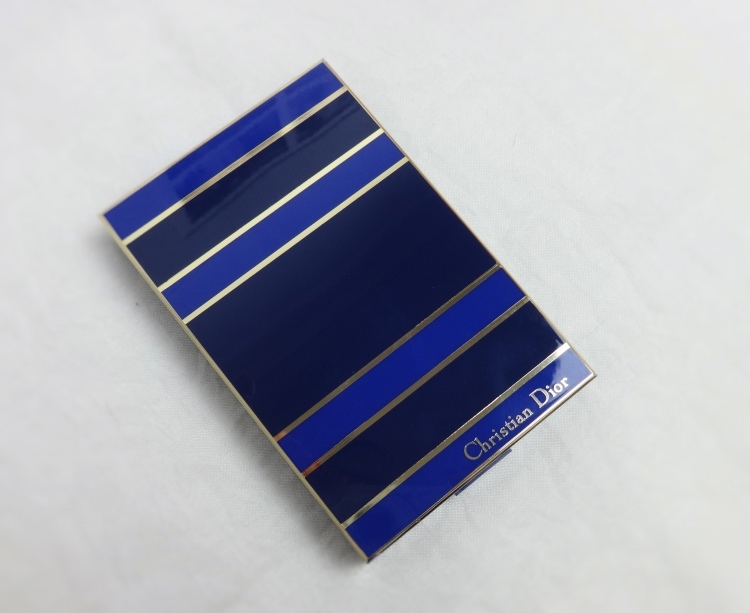 The exterior is brighter blue and it was still "Christian Dior". This palette is more than 10 years old. I remember this particular "all-white" one was Asia exclusive or something that I had to ask a friend who was visiting Korea to bring one for me (Ah, the memories. I so dearly loved makeup then.) As you see, it is still in excellent condition, because I hardly used it. I totally adored how they all looked subtly different. The variations were beautiful, but I never completely learned how to wear the palette properly. As you see in the swatch pic above, the effect is much more subtle with a finer finish. 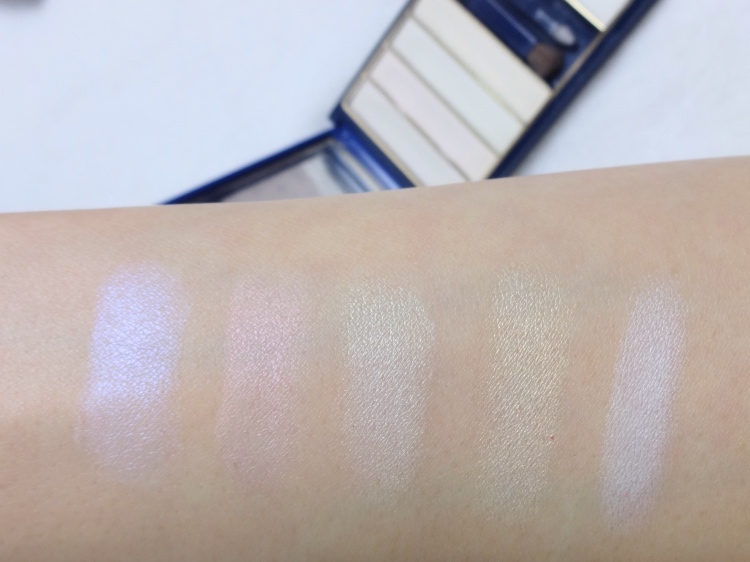 The Effets D'ombre line has powdery finish compared to Dior quints, but the colors still adhere well to skin. The different tones show much better when the colors are applied on a dark base. 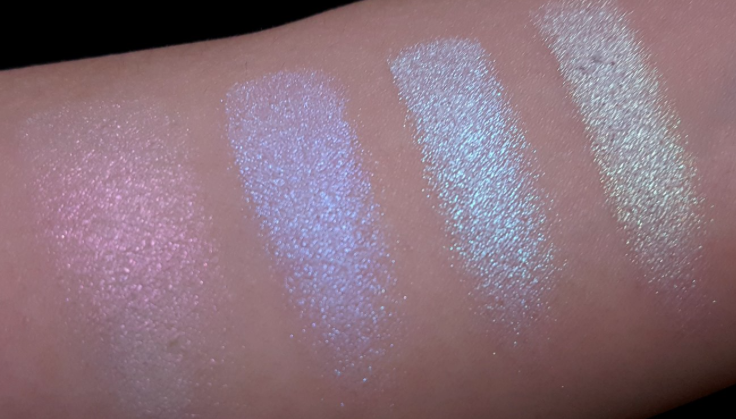 After playing with my old palette, I realized that the flashy sparkly color payoffs of Kat Von D Alchemist might not be what I want. I am glad that I saw the swatches because otherwise I would have never thought of wearing these light colors with a dark cream base. I put together a very simple look using the green white color (third from the top). I based my lids with the old trustee L'Oreal Voluminous Smoldering Liner in Black then added the green white shade and lightly blended out. The green hues show up clearly over the creamy base and the white base of the eyeshadow gives this cool summery feel to the look. There was a question received on Bloglovin' regarding other makeup products used here. 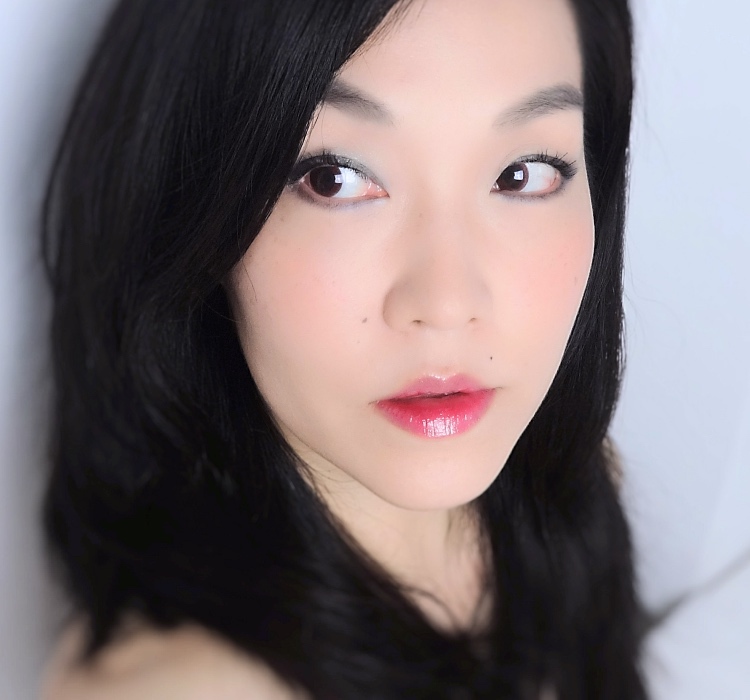 FYI, I used Giorgio Armani Fluid Sheer in 7, RMK liquid foundation in 101, Chacott finishing powder in 753 (Clear), Chanel Joues Contraste Vivacite, The Face Shop Disney lip tint (Pink), and Chanel Rouge Coco Gloss in Rose Pulpe (reviewed). I searched on eBay out of curiosity and surprisingly found one listing for this vintage palette! If you are not afraid of dying from using a decade old eyeshadow nor a huge markup, check it out here. 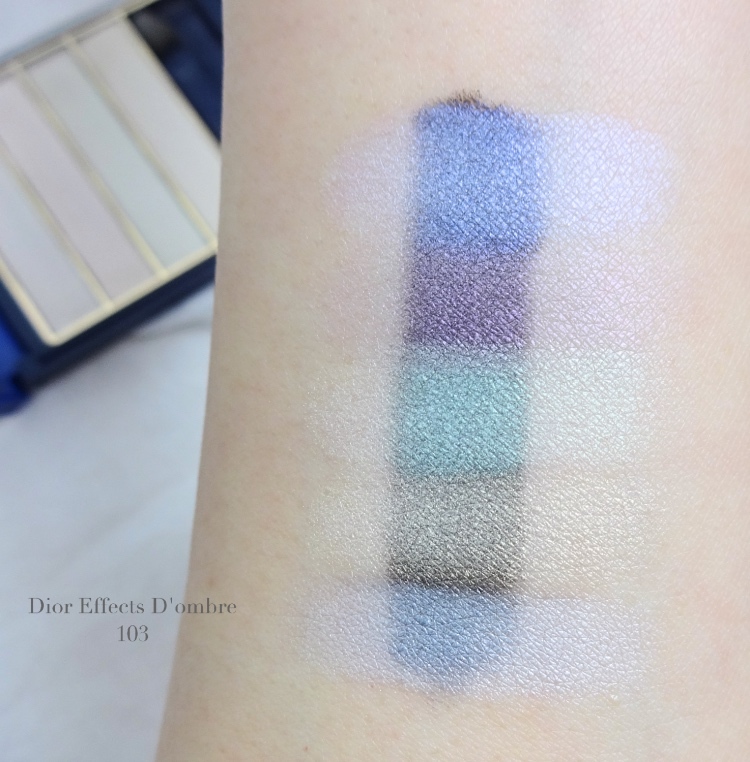 If you think the Alchemist palette is too sparkly but the vintage Dior is too much to handle (or the finish is too subtle), I will let you on a secret - there is something in between and I know this because I am an old-timer (wink). Check out another discontinued Dior Quint, Moonray. This was the next generation of Effets De Perle and more shimmery and pigmented but not quite like the Kat Von D.
Hope you enjoy this post. Not necessarily as ancient as this, but have you recently rediscovered something that was long forgotten? Wow those holographic shades have such a "clubby" vibe on their own LOL That's a really clever idea to wear light colors over a dark cream base and as it helps them show up better and also tones them down abit. I became a real germaphobe in recent years so I don't have anything older than two years old in my makeup stash except for a Chanel palette that I kept purely for the packaging ;p Have a fantastic new week Lena!